What Balance Dogs Do Is One Right for You? If you are living with multiple sclerosis (MS), a service dog might improve your quality of life and help keep you safe and healthy. MS produces a variety of symptoms, and the illness can make it difficult for you to get around, interfere with your balance, and impair your vision. These highly trained animals can perform a wide variety of tasks that help in all of these areas and more. There are a number of considerations that you should keep in mind if you are thinking about adopting a service dog to help you cope with your MS.
Assistance dogs are typically associated with vision difficulties. If you have MS, you may need a service dog to help you with your visual defects. You may also benefit from the assistance of a dog trained to help you with your balance issues. Is a Balance Dog Right for You? Could a balance dog help you, given your level of disability? Can you (or someone else) take care of the dog? Are you willing to work with your dog during an adaptation period? Even if you will adopt a trained dog, you still need to get to know each other, and you need to be patient as your dog learns your habits and needs. Can you afford food, shelter, and veterinary needs of your dog? Make sure you think about whether you will remain committed to your dog for the long-term and not just interested in his or her services for a few months or a few years. According to the Americans With Disabilities Act, service dogs have every right to be anywhere that you are required to be. But MS can cause a number of symptoms, some of which are not obvious to others, and you may be asked to explain or verify your need for a service dog. It's worth being fully aware of your rights so you can explain them to others. Verification is often required in certain places, such as on airplanes. There are places that cannot allow a service dog, such as hospital intensive care units, grocery stores, construction sites, and some athletic facilities. These rules may be put in place for the safety of your dog or for the safety of other people. It is best to check the rules regarding service dogs ahead of time to avoid unpleasant surprises. Adopting a balance dog may be expensive. Your health insurance carrier may or may not cover this cost. It is best to check the details regarding cost, health insurance coverage, and to obtain documentation regarding payment and coverage before you make your final decision. Sometimes, financial assistance is available to help with the purchase, training, and continuing expenses of owning a balance dog. Some non-profit or local organizations may contribute to the cost. This depends on your level of disability and the programs available in your area. 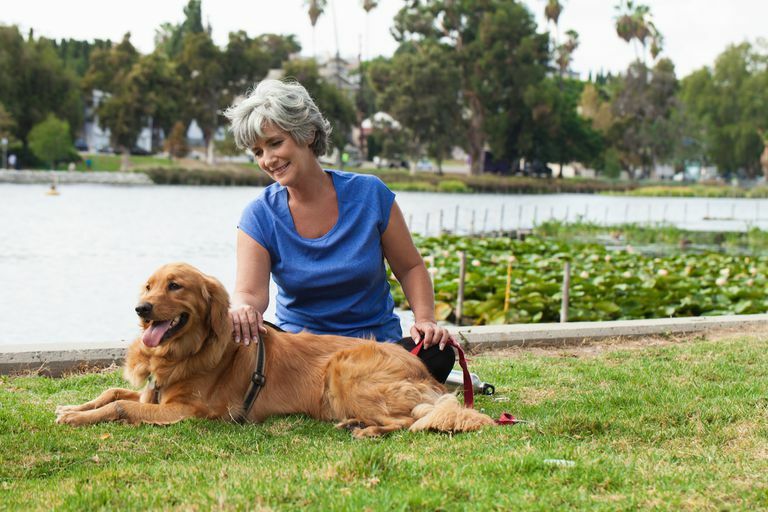 If you believe a balance dog will improve your quality of life, there are a few different routes you can take to find the right dog to help you with your condition. If you are prepared to train your own dog, or to adopt a dog and train him or her yourself, you need to be sure that your dog is up to the task. Not all dogs make good balance dogs. Since one of your dog's key functions is providing extra support, your dog must be healthy and large enough to support your weight. The dog must also be a trainable breed and able to focus on the tasks that need to be accomplished. If you love your dog, but don't know how to do the training yourself, you can hire a professional dog trainer to help you train your dog. You can ask service dog organizations for references to help you find a good trainer. You can adopt a dog that has already been trained as a service dog. The quality of the dog and the training it has received varies from organization to organization. Be sure to thoroughly research each organization and to speak with other people who have adopted dogs from the organization(s) you are interested in. You can ask your health insurer or your physical therapist for recommendations. A service dog can provide incredible assistance with your everyday tasks, especially once you and your dog get to know each other and learn each other's habits. If you love dogs and are able to care for your service dog, your dog's most important role will lie in providing loyal, loving companionship as you cope with the ups and downs of your MS.
Fjeldstad C, Pardo G.Immediate Effect of a Service Dog on Walking Speed in Individuals with Multiple Sclerosis and Gait Dysfunction: A Pilot Study. Int J MS Care. 2017 Jan-Feb;19(1):40-41. doi: 10.7224/1537-2073.2015-089.